Have you ever dreamed of being an astronaut and to come aboard the International Space Station? Now you can see what it would mean thanks to Harmonic, video delivery infrastructure solutions provider for broadcasters, pay-tv operators, service providers and other media companies, which since November 2015 remotely produces Nasa Tv Uhd‘s ultra high definition images (Ultra HD or Uhd) through eight TV series designed to explore the various facets of Nasa’s space program. One of the most recent 4K video (it was uploaded on Youtube October 27, with more than 427 thousand views already, but if you prefer you can find the full video gallery here) shows Uhd images of a fly-through of the International Space Station, using a fisheye lens for extreme focus and depth of field. 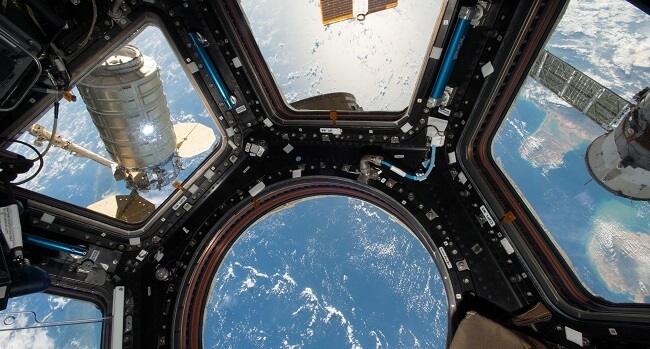 The viewer is brought inside the different environments that constitute the International Space Station, laboratories and the panoramic dome from which you can observe the planet Earth. All of this is accompanied by a superimposed map which allows to understand at every node in which part of the International Space Station you are. It won’t be the same experience that astronauts feel or that wealthy spatial tourists in the future will be able to feel thanks to initiatives such as the Virgin Galactic by Richard Branson, but Harmonic’s 4k video it’s one of those that you should see, if geek technologies fascinate you, so enjoy the video!